Why purchase Marshes to Mansions? Marshes to Mansions is truly a gift designed to provide an unforgettable and scrumptious visit to Southwest Louisiana. The Junior League of Lake Charles shares carefully guarded family secrets, both old and new, that will warm hearts and homes. This Regional Tabasco Community Cookbook Award winner was published in September 2007, following a widely popular JLLC cookbook debut, Pirate’s Pantry. Marshes to Mansions features an extensive collection of recipes, photographs, and stories intended to present South Louisiana as it is unique, in the entire world! In addition to a collection of delicious recipes, you’ll find interesting history, helpful cooking tips, and stunning photographs of our delectably displayed dishes and alluring landscape blending it all into a coffee table quality book. Junior League members collected and tested thousands of recipes to fulfill your every cooking and entertaining need to present you with over 250 recipes sure to bring the joie de vivre, “joy of life” to your table. 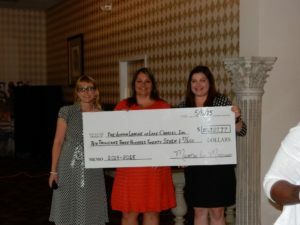 The proceeds from our cookbook sales provide the Junior League of Lake Charles the funding necessary to developing the potential of women and improving the community. Know that when you are purchasing or selling just one JLLC Cookbook, for yourself or as a gift, YOU are giving back!